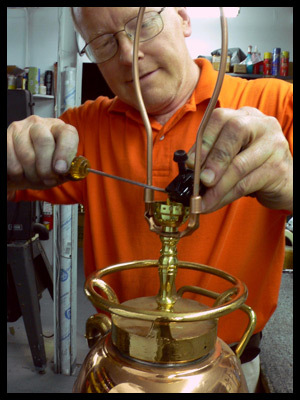 We provide full interior rewiring of all lighting as part of our restoration process. If you have a lamp or lighting fixture and you like the existing finish but the wiring is old, dry or worn, we can fully rewire it for safety and peace of mind. 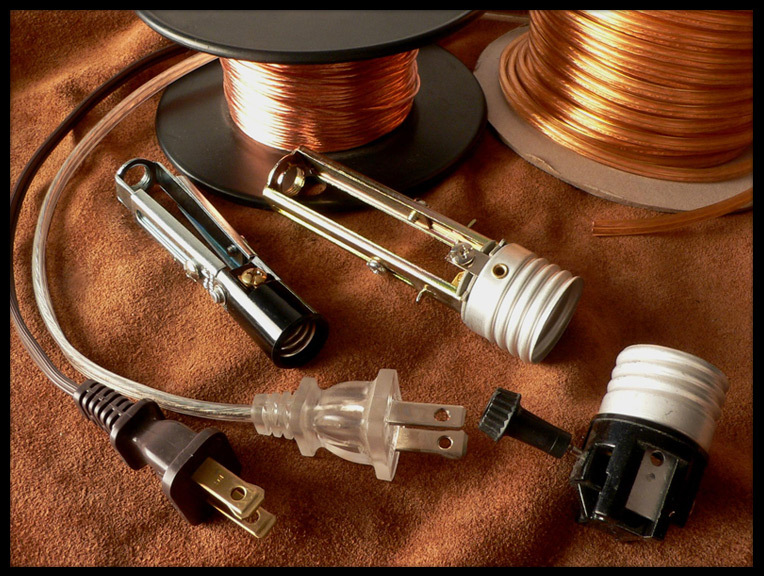 New cords, wiring, sockets and insulators are installed so even if your lamp looks old and original, it can be like new on the inside.